The end of August is always an emotional time for New Orleans, and the 10 year anniversary of Hurricane Katrina this year was amplified as every news outlet in the world focused on the city. 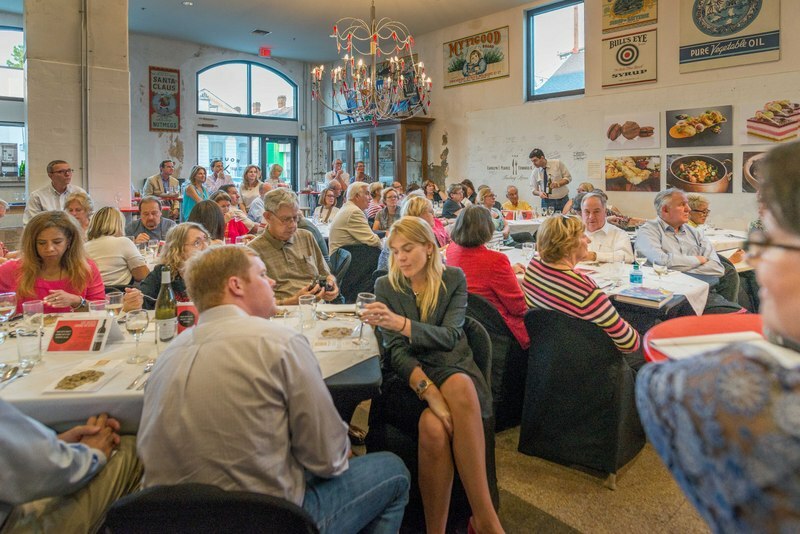 The Southern Food and Beverage Museum was honored last week to serve as the location for an interactive celebration of the 10 year anniversary edition release of Cooking Up a Storm, one of the most wonderful culinary books to come out in the aftermath of the hurricane. Authors Judy Walker and Marcelle Bienvenu of The Times Picayune joined Jyl Benson, SoFAB's Director of Culinary Programming, and Poppy Tooker, host of WWNO's "Louisiana Eats!, " for the first gathering of the Louisiana Eats & Cooks Club. 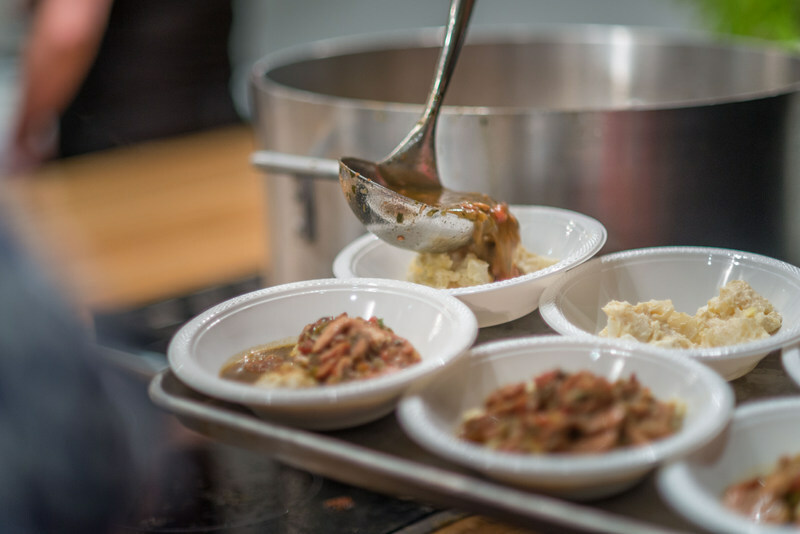 Jyl and Poppy led the class with demonstrations of some of the most popular dishes in the cookbook, including Corrine Dunbar's Oyster and Artichoke Appetizer and a Meaty Cajun Gumbo served with a warm, spicy potato salad. As Poppy and Jyl cooked, Judy and Marcelle shared stories of how Cooking Up a Storm was put together--the requests that they received from all over the country, the process of tracking down the writers who had sent in the recipes years before, and the time spent in other people's personal collections, searching for that specific column. The dishes coming out of the kitchen were homey and delicious, exactly the sort of recipe you might seek comfort from. 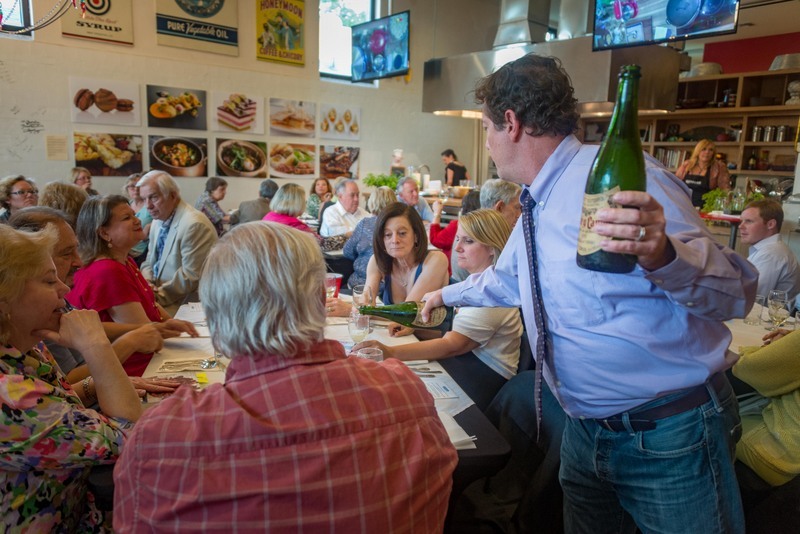 That, and the perfectly paired wines from Brady's Wine Warehouse made the evening a delightful learning experience as well as a fitting tribute to the food that has helped the city make it through the past 10 years. 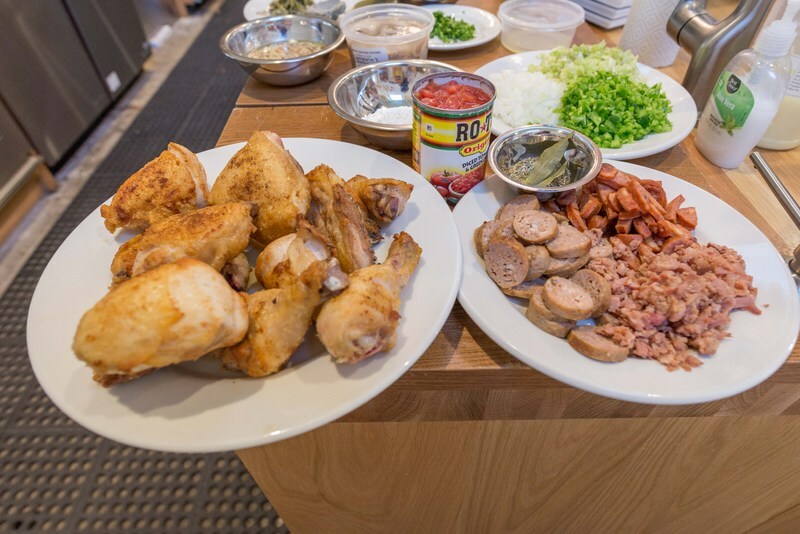 Be sure to join us for the next Louisiana Eats & Cooks Club with Jyl and Poppy as they cook through Jyl's book, Fun, Funky, and Fabulous: New Orleans Casual Restaurant Recipes on September 24. Autographed copies of Cooking Up a Storm are available in the SoFAB Pantry.